• Is in the configuration as prescribed by the Secretary of State. For instance, a square rubber stamp could not be used as a seal since the Secretary of State prescribes a round format. The seal is used to indicate the authority of the Notary. A stamp is used to communicate information about the Notary or the Notary Acknowledgment in a legible format. 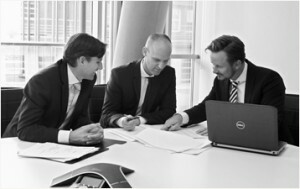 It is customary for Notaries to use an informational ink stamp in conjunction with the embossing seal. It is rumored that the use of informational ink stamps in conjunction with seals became common due to the illegible handwriting (or as some maintain, distinctive handwriting) of a few Notaries. Imagine that! At any rate, you can be assured that if you would like to use an ink stamp seal instead of an embossing seal, the ones available from BondYourself.com do meet the specifications of the Secretary of State. 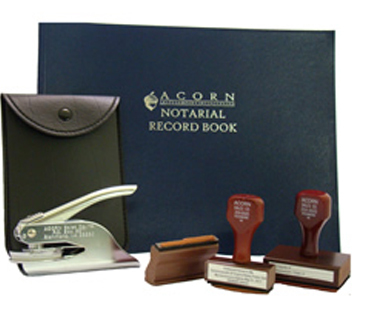 Our Notary Kits come with embossing seals and information stamps and should be used together. Just drop us an E-mail or give us a call if you need clarification about the proper use of seals or stamps.